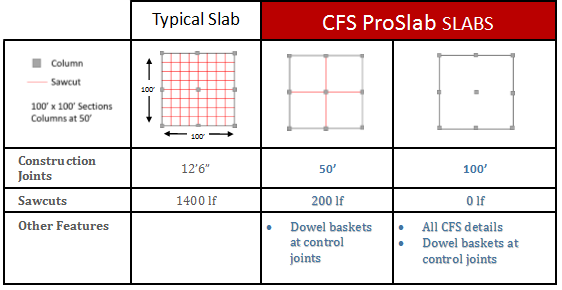 CFS ProSlab is a slab design that offers flat smooth and virtually curl free floors with fewer joints by using a time tested technology that has proven to be superior to the commonly used slab designs. The industry now refers to this technology as wideslab construction. Wideslab construction is a method of designing and constructing a slab-on-ground in which individual slab panels extend at least 50’ in at least one dimension. Wideslab construction relies on methods other than joints to control cracks and curling. FS ProSlab uses Single Course Installation giving the slab continuity from “top to bottom”. Our floors provide a beautiful, durable finish that meets or exceeds design requirements, and owner’s expectations. While many owners, developers and engineers consider wideslab construction a new process, Mike McPhee (a voting member of ACI 302 and ACI 360) has been an innovator in wideslab design, using steel fiber technology, for decades. 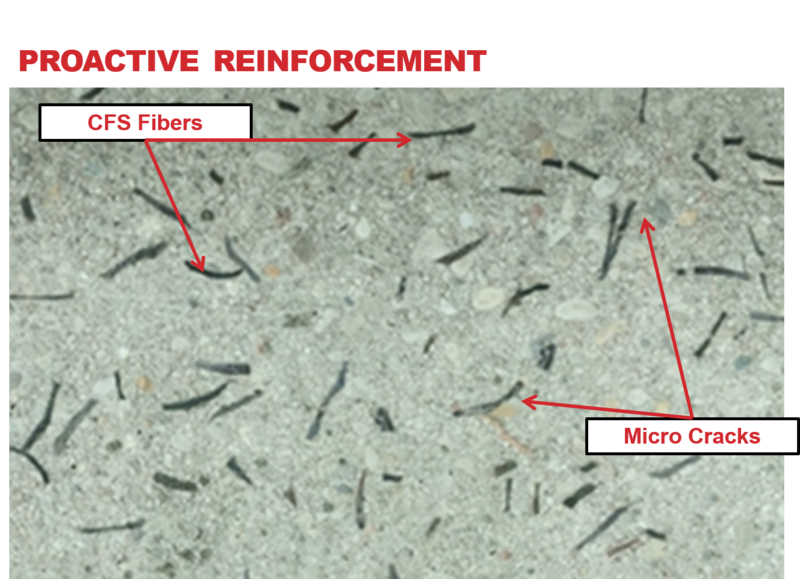 It wasn’t until 2015, two years after starting Concrete Fiber Solutions (in partnership with Global Material Technologies), that the term “wideslab” was truly recognized within construction nomenclature. And shortly thereafter, CFS branded Mike’s design concept with the CFS ProSlab name. The tremendous benefits wideslab floors offer are the solutions that manufacturers with diverse product lines and production needs have been seeking for years. Large food companies such as Whitewave Foods, have installed CFS ProSlab floors because they have significantly less maintenance issues with fewer joints and cracks. 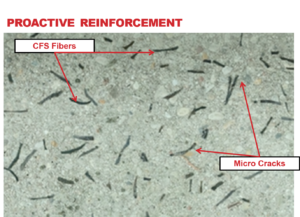 Precision manufacturing companies such as Woodward find the elimination of cracks and curling in their CFS ProSlab floors to be an integral element needed to achieve the highly calibrated products they produce. Additionally, leaders in the logistics real estate market such as Prologis have embraced the CFS ProSlab design as, in addition to the other benefits, the flat, minimally jointed floors are ideal for warehouse automation. We help with Engineering & Design! OSHA has issued two new standards to protect workers from exposure to respirable crystalline silica. The standard requires employers to limit worker exposure to worker exposures to crystalline silica and take other steps to protect workers. Read the OSHA Fact Sheet on the Crystalline Silica Rule here. How does ProSlab help? Saw cutting joints in a slab is one of the biggest generators of respirable crystalline silica on a job site. ProSlab construction dramatically reduces the amount of saw cut joints in a floor and as a result the amount of crystalline silica generated. A typical 100′ x 100′ slab with joints at 12’6″ has 1400 linear feet of sawuts. Extending the joints to 50′ with ProSlab construction reduces the amount of sawcut joints to only 200 linear feet making compliance easier and more cost effective. For the same price as an ACI recommended slab, CFS ProSlab provides a floor that matches any floor in the industry for beauty, durability, toughness, life expectancy and lowest maintenance cost of any competitive design.